Theresa May, UK Prime Minister. More than two years after the UK voted to leave the European Union, the UK and EU officials have agreed the draft text of a Brexit deal. The details of the draft agreement have not been published yet, but key elements of the deal began to leak late on Tuesday, along with the outline political declaration covering the future relationship between the UK and the EU, and some accompanying explanatory material. One of the most contentious issues throughout Brexit negotiations has been the Northern Ireland “backstop”, with concerns raised by Brexiteer Tories and the Democratic Unionist Party (DUP), over how it will work. The “backstop” within the agreed draft is believed to avoid a return to a “hard border” with the Republic of Ireland (which is in the EU), by keeping the UK as a whole aligned with the EU customs union. However, it seems this backstop will be only temporary, with the agreement also saying an independent arbitration committee will judge when a UK-wide customs backstop could be terminated, comprising an equal number of British and EU representatives plus an independent element. According to Brussels sources, there will be a review in July 2020, six months before the end of the transition period, at which it will be determined if the UK is ready to move to a free trade deal; stay within the customs union arrangement; or extend the transition period. The agreement also includes commitments over citizens' rights after Brexit, a proposed 21-month transition period after the UK's departure on 29 March 2019 and details of the so-called £39bn “divorce bill”. Theresa May has summoned her cabinet to an emergency meeting this Wednesday afternoon, which British media sources have said is expected to last three hours. 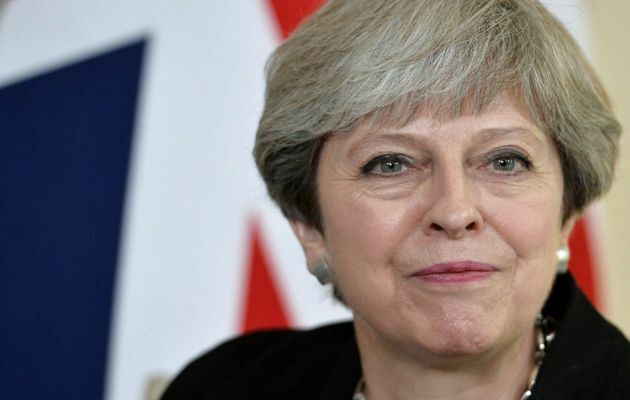 In the meeting, May is asking her senior ministers to consider whether they can personally endorse the agreement that the Prime Minister has been able to reach. The Prime Minister briefed ministers on the plans on a one-to-one basis on Tuesday, ahead of a full cabinet meeting, and let them read the key documents. On Tuesday night, the leaders of the four main opposition parties in Parliament sent a joint letter to the Prime Minister, demanding that the meaningful vote be subject to amendment, allowing alternative ideas to be considered. “As a minimum, any motion to this House must include the possibility for multiple amendments to be tabled, with the Speaker able to select multiple amendments to be taken before the main motion”, Jeremy Corbyn, the Labour leader, Ian Blackford, the SNP leader, Vince Cable, the Liberal Democrat leader, and Plaid Cymru’s Liz Saville Roberts said. Although they “recognise Parliament will have to approve or disapprove any agreement, it would be reckless to present this vote as take-it-or-leave-it, without Parliament being able to suggest an alternative”. Meanwhile, hard-Brexiters swiftly reacted negatively to the prospective deal, and indicated they intended to vote against it if it came to Parliament. Former foreign secretary Boris Johnson described the reported agreement as “utterly unacceptable to anyone who believes in democracy”. “The deal is a failure of the government's negotiating position and a failure to deliver on Brexit”, Conservative MP Jacob Rees-Mogg said. If May secures the support of her colleagues during this meeting, she will then launch a campaign to “sell” the deal to the country, beginning with a live televised media conference. If the cabinet agrees the plan on Wednesday, the EU expects to hold a special Brexit summit on 25 November, with EU affairs ministers likely to prepare the ground at an extraordinary meeting on 19 November. May then will take the deal to the UK Parliament to be ratified, most likely in mid-December. In addition to the Brexit issue, the EU is now dealing with the proposal of French President Emmanuel Macron of creating a new European army. During the first world war armistice centenary commemorations, Macron called for a “real European army”, to handle the rising nationalism and populism which threat the fragile peace on the continent. “We have to protect ourselves with respect to China, Russia and even the United States of America”, Macron said. Angela Merkel joined French President Emmanuel Macron's cries for a European army at the 'Future of Europe' address. “We should work on a vision of one day establishing a real European army”, Merkel told members of the EU Parliament.